Why do so many people—smart, thoughtful people— feel unhappy, anxious, unfulfilled, or unable to create sustainable loving relationships? As co-founders and teachers of Reology, we will share with you our answers to this question. 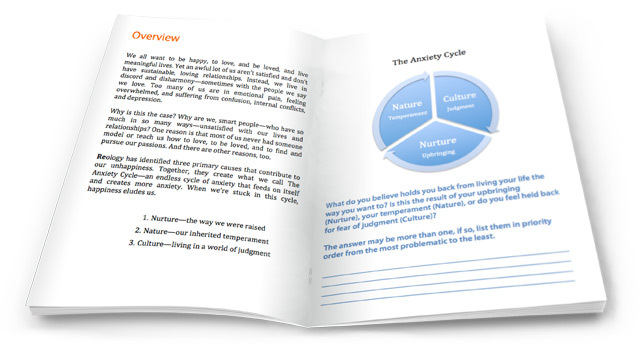 Our answers are based on the work of pioneers who have led the human potential movement for the past fifty years, as well as researchers who have, more recently, used neuroscience to validate the physiology of our emotions. We also draw upon our own personal experiences as health care practitioners, and as a married couple who have learned how to create and enjoy a wonderful life together for the past twenty years. 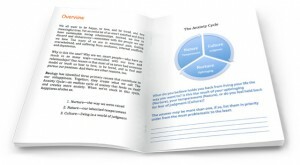 In this booklet, we identify and explain three basic causes that contribute to unhappiness. More importantly, we talk about the solutions, some of which you can immediately apply to your life. To receive your FREE copy of Why Wait To Be Happy, just provide your name and email address. We will add your name to our email newsletter and notify you when we have new articles posted. 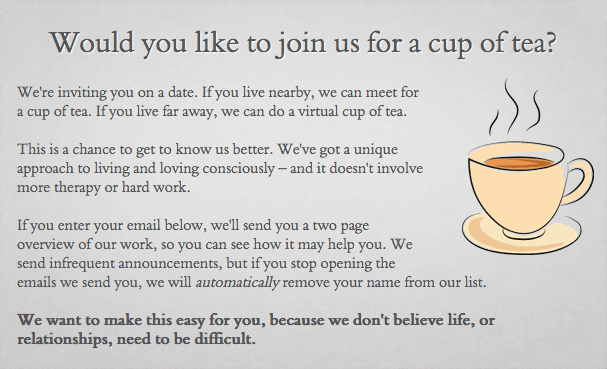 If you prefer not to receive updates you can remove your name from the list. Additionally, you may order Why Wait To Be Happy as a paperback directly from this site.